In 1973, the Eurovision Song Contest took place in Luxembourg. The previous year the contest was won by Vicky Leandros with 'Apres toi', and in 1973, Luxembourg snatched pole position once again with Anne-Marie David's 'Tu te reconnaitras'. It was proof of the dominance of French as the 'lingua franca' at the time. 1973 was an interesting year, because Israel debuted with Ilanit's 'Ey Sham' and the United Kingdom sent Cliff Richard over to sing 'Power to all our friends' - five years after he appeared at Eurovision with 'Congratulations'. 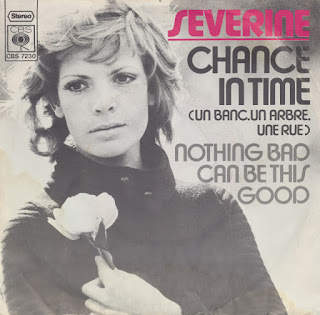 Severine, the French singer who had won Eurovision in 1971 with 'Un banc, un arbre, une rue', decided to profit from the popularity of the Contest by covering the two songs on this single. 'Il faut chanter la vie' was a French version of Cliff Richard's song, and 'Autour de nous' was the French version of 'Ey Sham'. My finding this French single in a German second hand store only emphasises the international appeal of the Eurovision Song Contest. 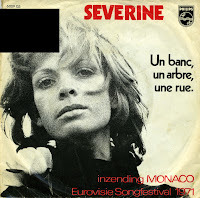 In 1971, Severine won the Eurovision Song Contest for Monaco with the song 'Un banc, un arbre, une rue'. 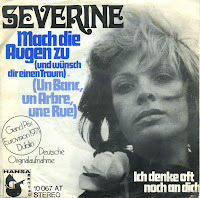 She recorded three alternative versions of the song: 'Chance in time' (English version), 'Il posto' (Italian) and 'Mach die Augen zu (und wünsch dir einen Traum)'. This German version was released in German-speaking countries. It reached number 23 in the German singles chart. Severine was born as Josiane Grizeau on October 10, 1948 in Paris. 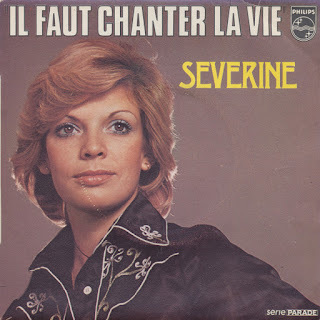 She represented Monaco in the 1971 Eurovision Song Contest with 'Un banc, un arbre, une rue'. The lyric of the song focuses on the loss of childhood innocence, and people following their dreams. 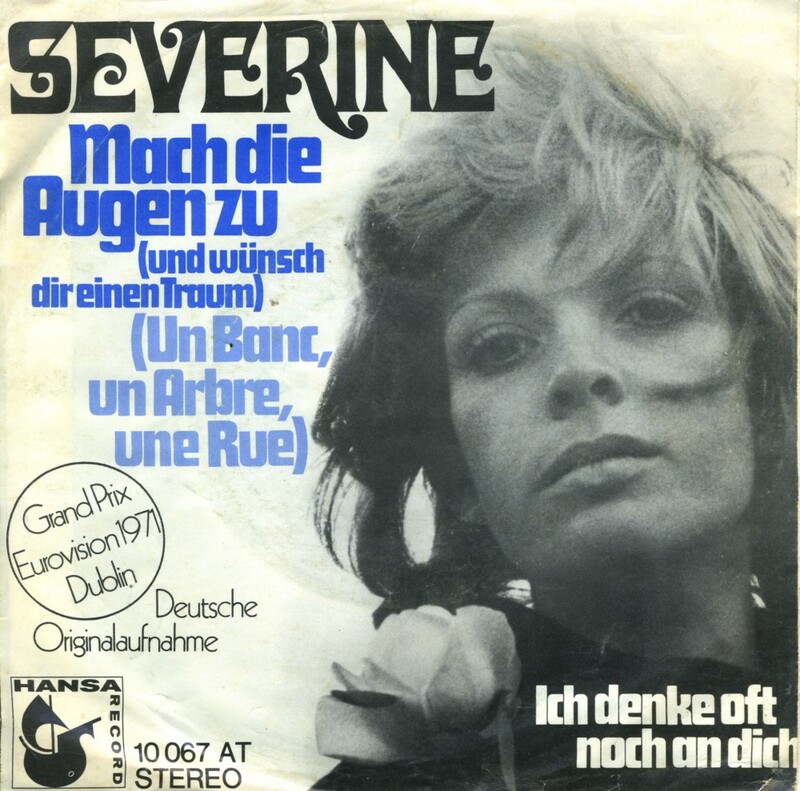 Severine recorded the song in French, English, German and Italian. This single features the original French version. She won the Contest, but this did not result, as is usual, in the 1972 Contest being hosted in Monaco, as the country did not have the resources. Instead, it took place in Edinburgh, UK.